Bambi is a sweet girl and loves to be with her people. She came into rescue because her owner had passed away. She has had a stable and loving family, so is well adjusted to home life. Her favorite thing to do is be on the couch with her person, she will cuddle right up next to you or on your lap if you let her. Bambi loves to take walks, and walks quickly and confidently. She had her eyes removed due to glaucoma but doesnt allow that to slow her down for her walks! She will jump up and down when she knows you have her harness out for a walk. She walks well with her foster sister dog in a pack walk. Bambi is housebroken and will spend time in a crate if needed. She does bark to let you know when someone is at the door or right outside, but is otherwise pretty quiet. 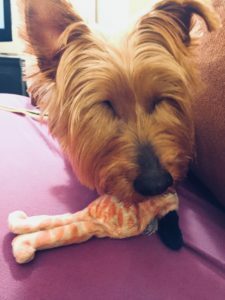 In addition to sitting with you on the couch or taking a walk around the block, Bambi LOVES toys that squeak! The first night she arrived in her foster home, she found the toy box right away and brought out every squeak toy. 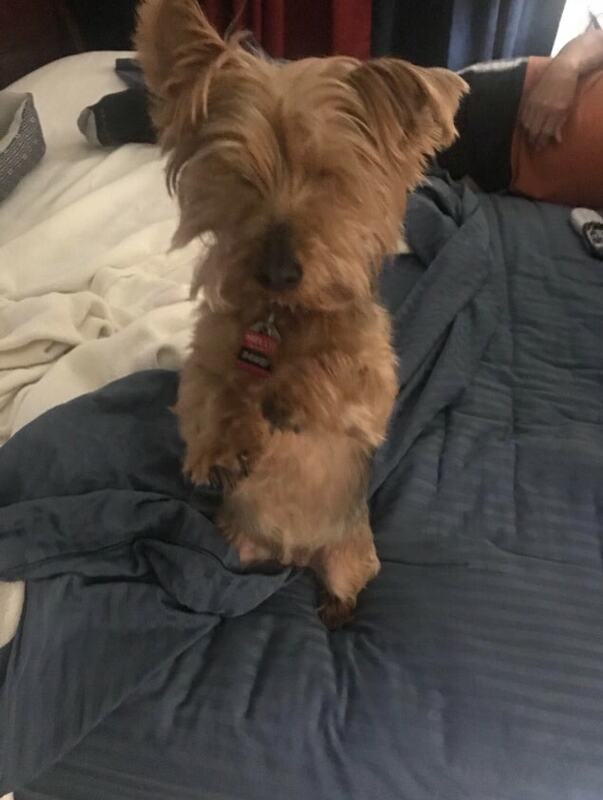 Bambi is living in a foster home with three other small dogs and does fine with them, but doesnt actually play with them, so would be just fine as an only dog. Apply for adorable Bambi today! Bambi was adopted on November 26, 2018. Bambi is looking for her forever home. If you think it could be yours, read more about Adopting from BDRA before submitting your application below. BDRA relies on your donations to rescue blind dogs around the United States. Please consider giving in support of Bambi.